In 1985, Harold Kent, a businessman in Tampa, Florida, USA, with his wife, Jo Ann, had a vision to reach the unreached of the world with the Gospel. God impressed upon him that by using fix-tuned radios, more people could be reached. 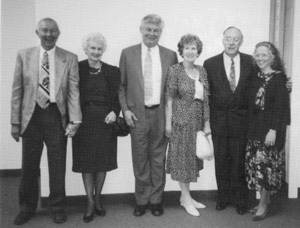 At the same time in Tiberias, Israel, Ken and Margie Crowell had an established “tentmaking” mission called Galtronics, manufacturing cell-phone antennas. God asked Ken to design a fix-tuned radio. Meanwhile, Allan T. McGuirl, then Canadian Director of Gospel Recordings in Hamilton, Ontario, Canada, made a trip to a remote area of Kenya where God gave him the vision to build a solar-powered fix-tuned radio to reach remote villages around the world. By His providence, God brought the three men together. At the IFMA conference in February 1989, Harold, Ken and Allan put together a plan. The concept was for Ken to make the radios in Israel, Harold would sponsor the funds needed, and Allan would determine needs, liaise with evangelical organizations and arrange distribution. 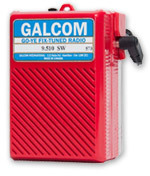 Very soon after that meeting, Galcom International started production of radios. On August 15, 1989, Galcom International officially began in Canada and the US. The solar-powered, fix-tuned radios were named the “Go-Ye” radio. The first 40,000 radios were fix-tuned to Voice of Hope, AM 945, broadcasting from Lebanon. The radios were sent into Syria, Lebanon and Jordan. Over 25 years later, more than 1 million radios have been distributed in 140 countries. Millions of people are able to hear God’s word daily through the Galcom ministry. In 1988, God gave three men in different circumstances the desire to bring His message of Salvation and Love to unreached people through radio. God does miraculous things when people listen and follow His leading … even building little solar-powered, fix-tuned radios. Copyright © 2019 by Galcom International Inc.